This post has been sitting in my drafts for weeks, so here is a speedy post so I can actually do my 2017 before the calendar ticks over to February. I was pretty happy with my sewing last year, so it was harder to choose, but there were some definite stand-outs. 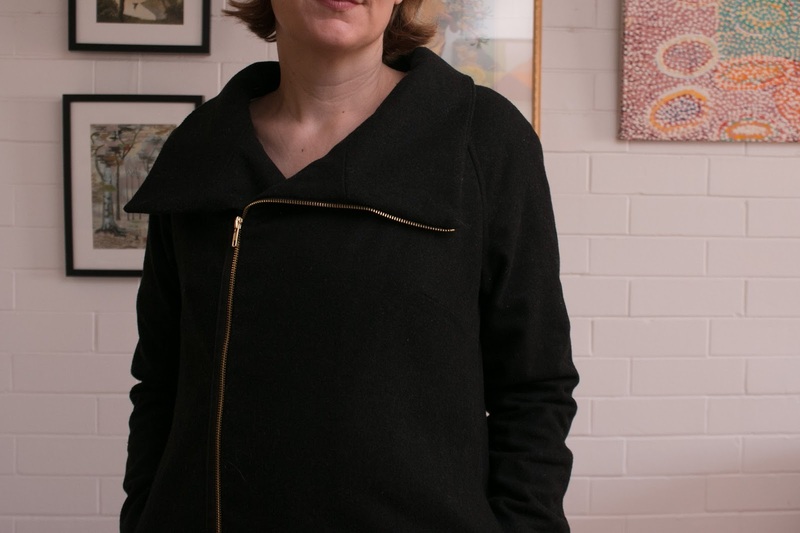 Clare Coat. My first ever coat project and I love how it turned out. I haven't worn it lately as it's summer at the moment, but it's hanging on my dressmaker's dummy and I feel happy every time I walk in and see it. 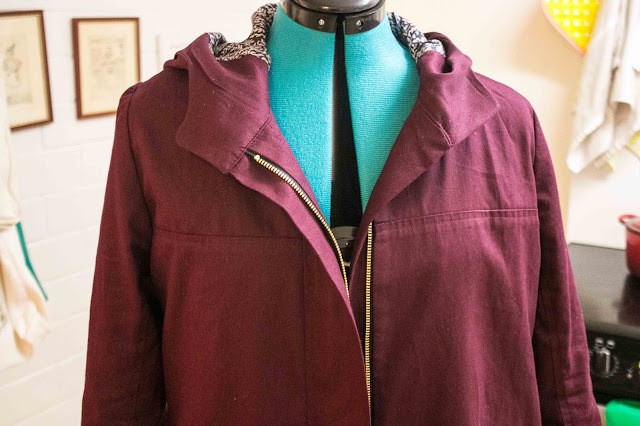 Kelly Anorak: Maybe this was actually technically my first coat? Certainly my first piece of complicated outwear. This was a time-consuming, detailed project that really turned out to be something I love to wear. It was a life-saver in Vietnam, where I have just been over Christmas and New Year. Silk Kielo wrap dress. 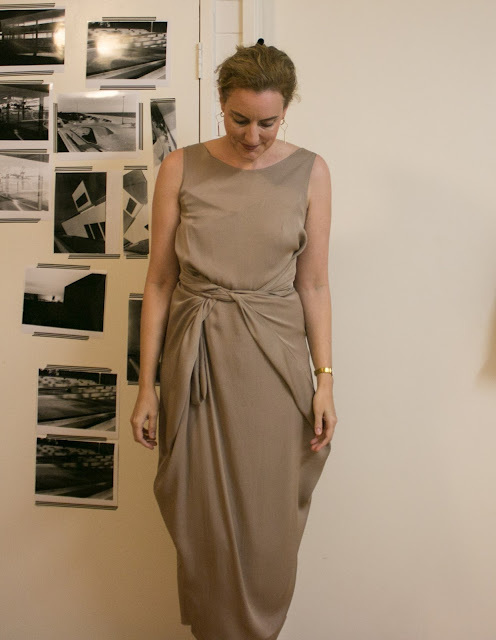 Obviously this doesn't get a huge amount of wear, but I have worn it three times and felt very sleek and put together each time, as well as very comfortable. This is a piece of formal wear that isn't tight or short or anything difficult, and the silk and slip are divine to wear. It also turned out exactly how I pictured it when I bought the fabric, which doesn't happen very often. 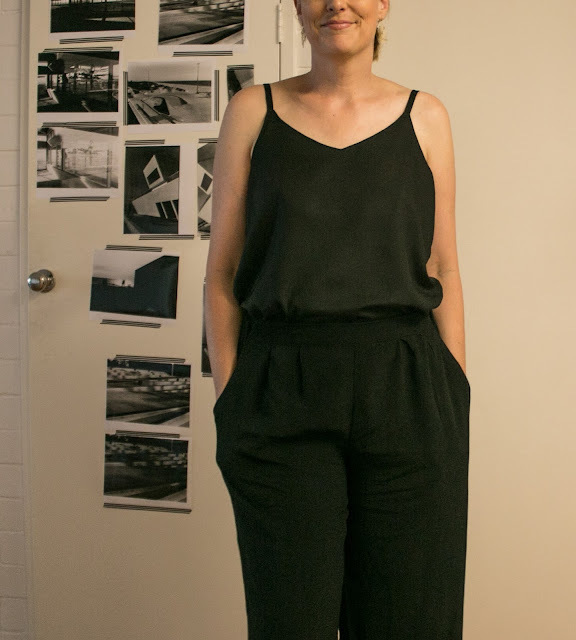 Secret jumpsuit - the Ogden Cami and Belize pants: Another pair of almost secret pyjamas that also work well separately and are heaven to wear in summer. Unfortunately one of the straps on the cami tore and unraveled in the last wash, so this is in for repair, but I've made another in a pink floral since. 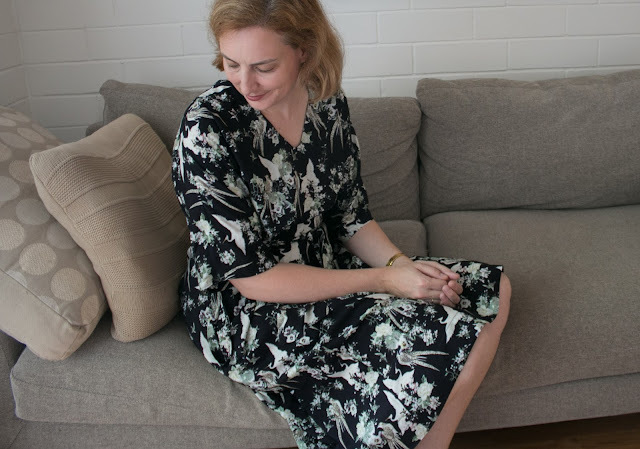 The Sew House Seven tea house hack: pretty, comfortable, work appropriate, has pockets - what more could you want from a dress? 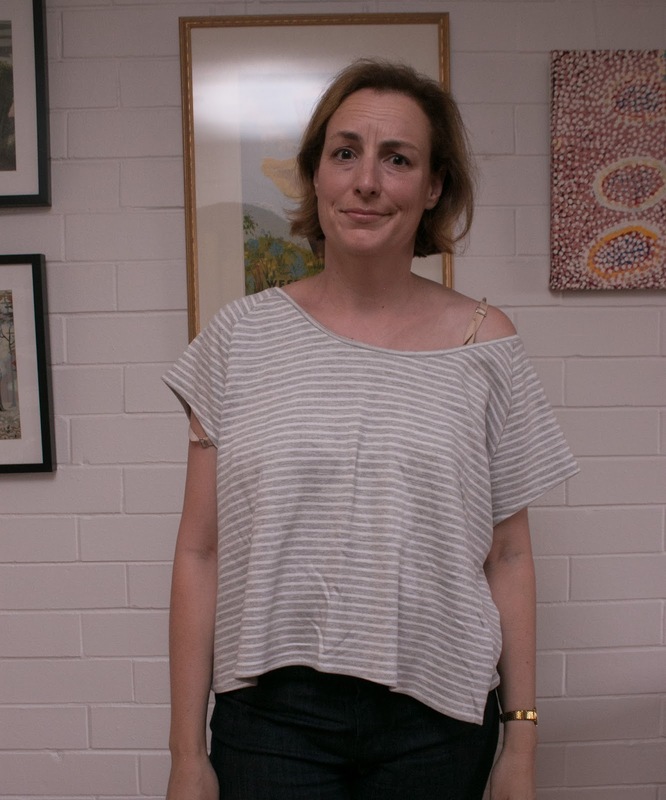 The Grainline penny raglan: just terrible, didn't fit, never wore, now cut up to make a pair of knickers. 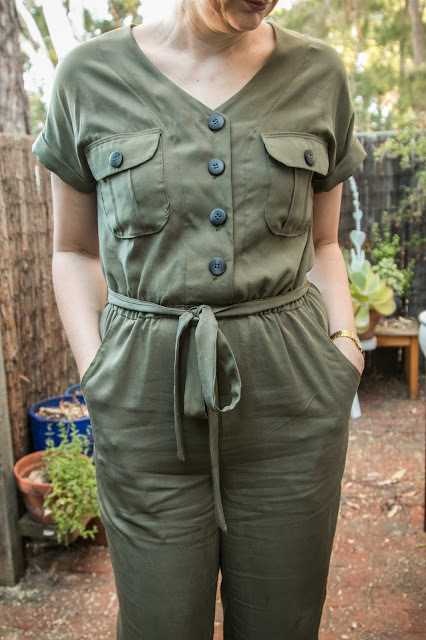 Itch to stitch Anza jumpsuit. I never blogged this because I made it for a pattern test, and the pattern was fine, but this wasn't for me. I made an error with the fabric to start with. Olive tencel is lovely, and a good colour on me, but I failed to consider that the chunky buttons were wrong and the pockets and overall design made this a costume for a woman working in a munitions factory in the 1940s. Also this was a new style for me and I realised that I really disliked the feel and logistics of a jumpsuit, the complexity of getting in and out of them. Now cut up. Leisl + co Girl Friday culottes. Never blogged. 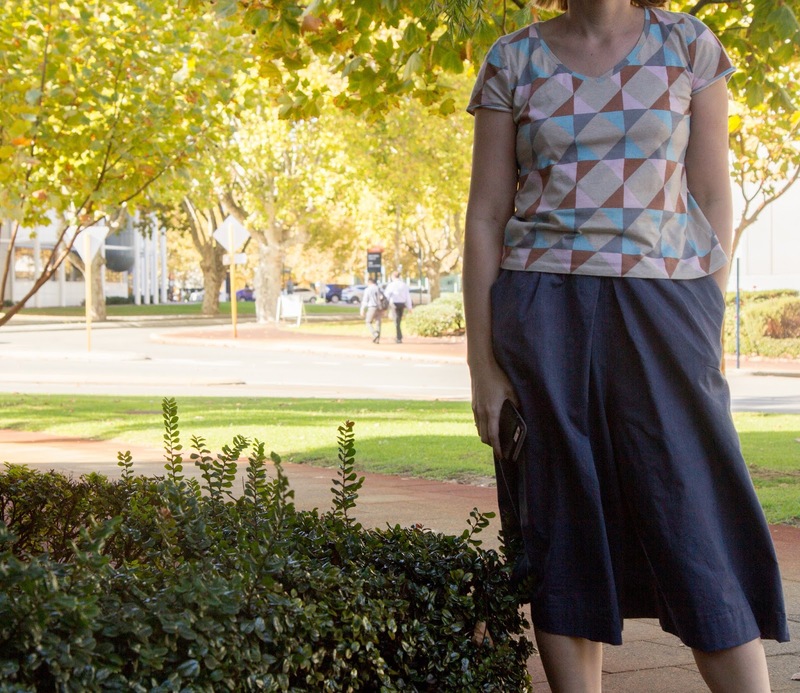 These look ok and have got a bit of wear, but the waistband is straight, narrow and rather tight and that means that these voluminous culottes that don't hug my figure at all are tight and uncomfortable to wear all day. I love the fabric and there is a lot of it in this so may cut these up to make something else - a pair of shorts perhaps. Kelly Anorak: I don't track these things so I don't really know, but I certainly wore this every day in Vietnam recently and it was a joy and so handy with the pockets. If I ever get around to blogging my trip I'll explain why. 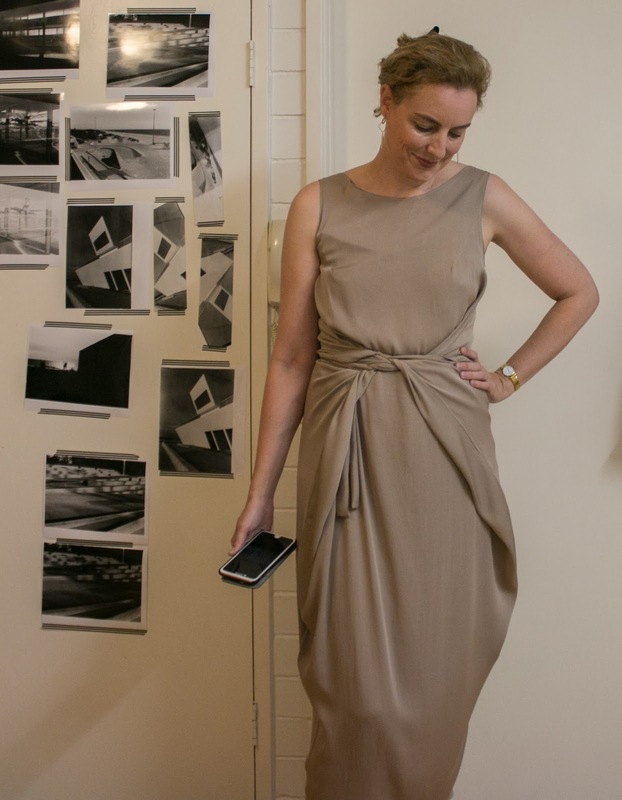 The Named Reeta Shirt Dress. This is a shame, in a way. I have worn this a few times, but the problems with creasing that I mentioned when I blogged this and the sheer volume of this dress persist, it's not a great colour on my and it also makes me feel quite chunky around the waist. I am not ready to give up quite yet - I am considering making it midi length to make it more work wearable. 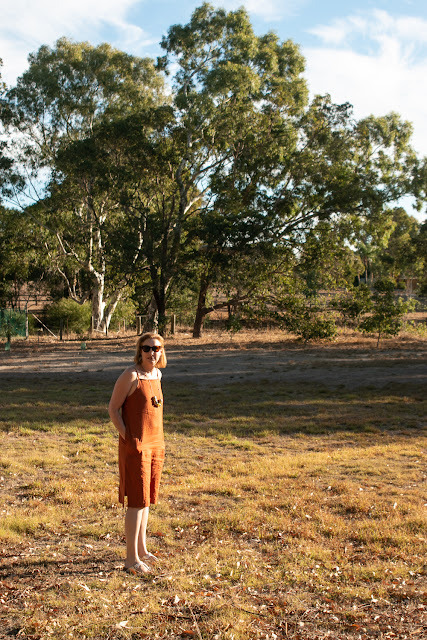 Ogden cami - so comfortable, I love the front and back neckline, a cinch to make and uses less than a metre of fabric. I have one more made and plans for many more. Overall favourite: the Named Kielos. I have two of these and they are just lovely and I get compliments every time I wear them. It's a fairly unusual design but I think I can get away with one more before it gets too weird. I signed up for Goodbye Valentino's RTW challenge but she must have mislaid my email because I didn't appear on the spreadsheet and I was in Hanoi at the time, so by the time I realised it was too late. I don't really care - these internet things can become rather pressurised and unnecessary. Plus there are rumour of Uniqlo opening in Perth this year and I wouldn't mind a puffer jacket. I did do my make nine on New Year's Eve, which I spent at Kuala Lumpur airport waiting for a flight home. It's good having a plan, as I am easily distracted by new project ideas and in fact I have already made three of the things here.